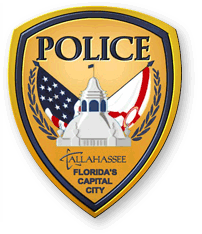 Tallahassee Police Department will conduct a 30-day trial period for a new body cam system that will become required for all officers. The “Axon” body-worn cameras will be distributed to six police officers and will be used to test the system’s digital processes. Damon Miller Junior, spokesman for the Tallahassee Police Department, says the system is an upgrade from the cameras used on officers in the traffic unit. “Our traffic unit has had body cameras for quite some time. But, this Axon camera system that we’re testing is a new and improved system that is, I guess through our training department has looked at, and they feel that it may be feasible for us to use that system here at this time based upon our needs,” Miller says. TPD reminds citizens that officers are not required to inform them that they are being recorded, but offers an email to request footage. The project is funded by a federal grant the department received in November.